TU Delft Library is a founding member of DataCite and a DOI allocation agent for the Netherlands. TU Delft Library has established DataCite Netherlands to serve as a central research dataset registration service that helps Dutch research organizations register research datasets and assigns Digital Object Identifiers (DOIs) to them. Read below how you can register DOIs as a Dutch scientific institution such as a research institute, library or university faculty that has its own infrastructure for storing objects. A digital object identifier (DOI) is a character string ("digital identifier") used to uniquely identify an object such as an electronic document. The object’s metadata is stored with the DOI. The metadata may include a location, such as an URL, where the object can be found. The DOI for an object is permanent, whereas its location and other metadata may change. Referring to an online document by its DOI is more stable than referring to it by its URL, because the latter may change. In case of an url change, the publisher only needs to update the metadata with the new internet address. The DOI is made up of two components, a prefix and a suffix, separated by a forward slash. The prefix is assigned by the allocation agent, e.g. DataCite Netherlands. The suffix is assigned by the institution that is responsible for the content. The DOI registration service is available to scientific institutions such as research institutes, libraries and university faculties that have their own infrastructure for storing objects. Organizations wishing to register a DOI are advised to contact customer service at library@tudelft.nl. 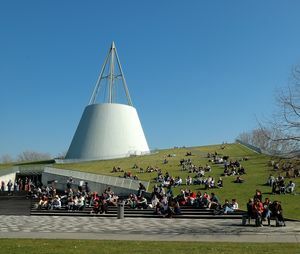 Before registration, an agreement is made with the TU Delft Library. With regard to cost, a client is required to pay an annual fee of € 750,- (excl. VAT) per prefix entitling the account holder to create and manage an unlimited number of identifiers. For more pricing information, see the DataCite business model. DataCite Netherlands holds no full text or data content, but rather provides linkages through DOIs, which are tagged to metadata supplied by the data producers. The end result is an efficient, scaleable linking system through which a researcher can click on a reference citation in a journal and access the cited data set. DataCite Netherlands is a service provided by the TU Delft Library. Please contact our customer service Ask your Library if you have any question.